We offer fast and reliable Free Shipping on every order. However, we also offer Tracked Shipping at a small charge of $4.55. For peace of mind and fast delivery please select Tracked shipping while checking out. 95% of our customers receive their orders within 10-14 business days. Actual delivery time to our customers varies and depends on processing time by the postal services and their geographical location. Sometimes orders may be delayed due to reasons such as processing time by customs or the holiday rush. Unfortunately once an order is shipped we have no control over these delays. We therefore recommend that you allow a delivery time of 2 to 3 weeks from the date your order is shipped. 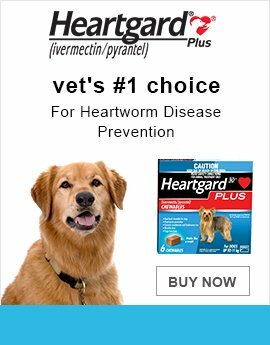 We also suggest that you order 4 to 6 weeks before your pet requires treatment. P.S: The delivery time outside the U.S. is 3 to 4 weeks. Moreover, in case of wrong address or incomplete address provided, we would not be able to reship or refund for the same. If you have not received a shipping confirmation email within 5 business days of placing your order please check your email security settings or your spam folder. 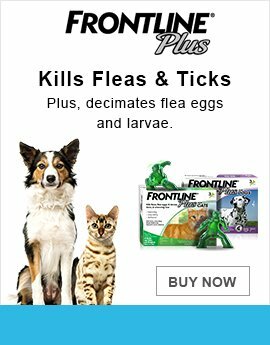 If you haven’t received the shipping confirmation email or you do not receive your order within 21 business days of shipment, please call us on our Toll Free number 1-800-840-2008 (Mon - Sat 9AM - 6PM CST), or email us at customerservice@BudgetPetCare.com. You will receive an email when your order is placed and another email when your order is shipped. You can also check the status of your order anytime by logging into your account on our site. You can also call us Toll Free on 1-800-840-2008 (Mon -Sat 9AM - 6PM CST) to check the status of your order. If there are any problems with your order, you will be contacted by one of our customer service representatives. We would be more than happy to change your existing order, please contact us toll free at 1-800-840-2008 (9AM - 6PM Mon - Sat CST) or email us at customerservice@BudgetPetcare.com as soon as you realize that you would like to make a change. Please note that the order can be changed only if it has not been shipped. If the status of the order is showing as "SHIPPED" or "DISPENSED" we will not be able to make any changes as this means that your order has physically left our facility and is with the postal department. If you still want your order to be changed then we would be more than happy to send you the products you want. We will place another order for the products you want and We will ship your new order immediately. Once you receive the 1st order which was incorrectly ordered please give us a call toll free at 1-800-840-2008. 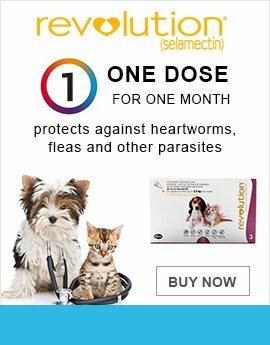 Buying from BudgetPetCare.com is safe and reliable. To ensure your payments are secure we use the latest available 256 bit encryption technology (also known as SSL Technology). We comply with PCI (Payment Card Industry) standards. We use some of the best online payment processors in the world. Go to Tools-->"Clear Private date"--> Place a check on "Clear Cookies"-->click on “Clear Private Data Now”. Open a new browser and try placing your order. Go to Tools "Internet Options"-->General-->"Browsing History" Place a check on "Deleting Browsing History" on Exit-->Click "Delete". Click on "Apply". If you are still having problems, please call us Toll Free number at 1-800-840-2008 (9AM - 6PM Mon - Sat CST) and we would be more than happy to take your order over the phone.